Come on in and make yourself comfortable; this is the Yard Hostel in Helsinki – the first and only 5 Star Hostel in the capital of Finland. Here you will find yourself right in the middle of the giggle, on one of the only walking streets in the city. Crammed full of restaurants, bars and cafes, you’ll be stuck choosing between the Finnish hustle and the Yard’s very own social (space) bustle. How to book The Yard Hostel? 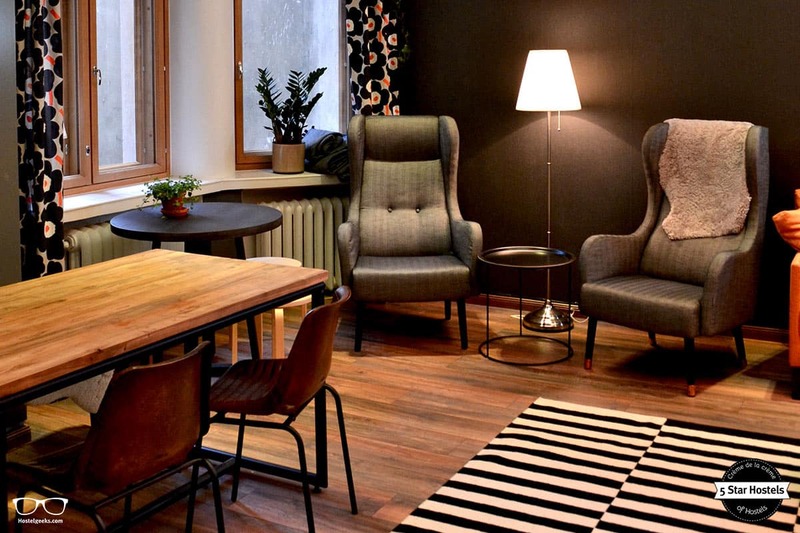 You just found our #1 recommendation for best hostels in Helsinki, Finland. Genuinely, The Yard Hostel is the accommodation we recommend to our friends, family, and to you! You will like it! Planning to stay at The Yard Hostel? Please use the links provided above. The Yard Hostel is centrally located in Helsinki, just a 5-minute walk from Helsinki Central Station. Restaurants, bars and cafés can be found in the surrounding area. It’s a perfect choice for travelers interested in design, architecture and museums. Stockmann Department Store and Forum Shopping Centre are both located around the corner. 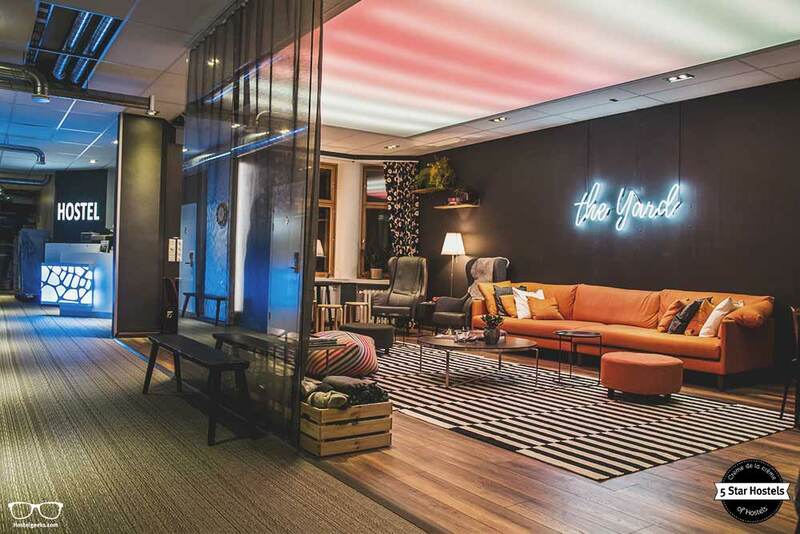 Helsinki-Vantaa Airport is 21 km away from The Yard Concept Hostel. 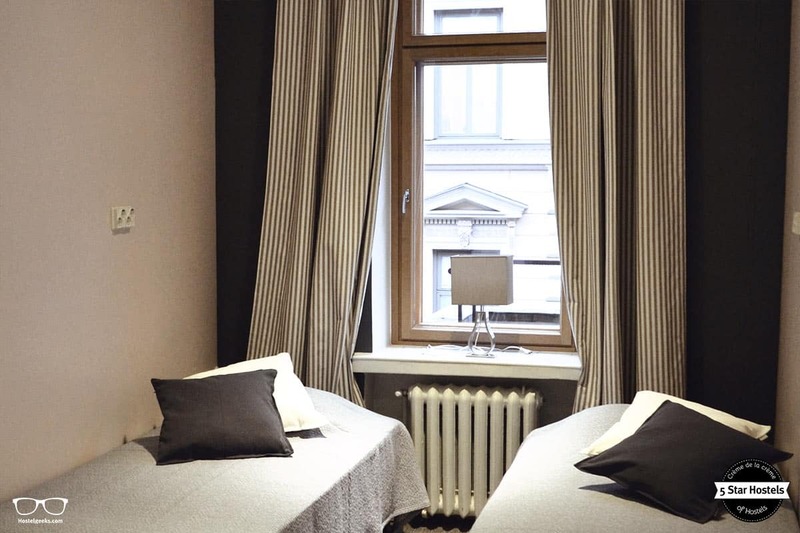 With a heavy focus on Finnish design and local art, this neat and chic 5 Star Hostel in Helsinki is in the heart of an iconic 1912 building. 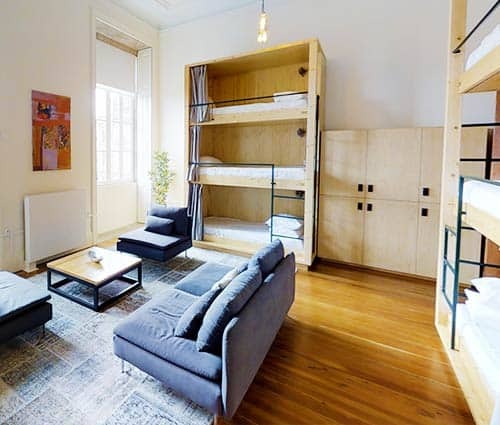 Choose between private and dorm rooms. Mix with guests and staff alike in the large social area. Bond over a movie, or a game, or one of their special events – the choice is yours at The Yard Hostel! Here at Hostelgeeks we strive to find the very best hostels around the world. If you are traveling around the Baltic Sea, now you have the perfect 5 Star Hostel route! But we hear you asking ‚why‘? Well we thought you might be curious, so we’ve broken the criteria down in to 5 points that go a little something like this. Join our tour around Helsinki. Have a seat and enjoy with us a walk around the best hostel in Helsinki. Let’s begin then with criteria number one that The Yard Hostel meets perfectly; sustainability. The building that this hostel stands within dates back to 1912. It is quite iconic in downtown Helsinki. When you step inside for the first time, take a deep breath and taste the air – is it lovely and fresh? It should be! The ventilation system has been newly fixed, which means there is no need for automatic air-conditioning. 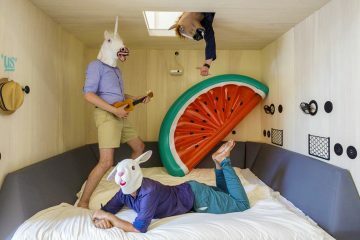 Related Article: 46 things that let you say this is gonna be an awesome Hostel! What’s also great, when you look around, is that you will see locally crafted furniture. This includes the bunk beds, sofas and tables. There are only a few items that are not made within Finland, which means their support of the local economy is strong. Not only that, but it provides their guests with a real sense of local craftsmanship and design. It gives the Yard Hostel a real Finnish feeling too, which we love. Just around the corner is a bicycle rental. Although public transport is right on the doorstep of this hostel, the staff here encourages you to explore by foot, or by bicycle. After all, it is a beautiful location and would be enjoyed best at slow pace. Needing some ideas for Helsinki? The Yard is a pure concept hostel! We created an overview of all types of hostels. The design at the Yard Concept Hostel is purely and proudly Finnish! This is because the owners want to show you what Finnish design is all about, by focusing on locally made products. Of course locally made products aren’t produced without skillful local people. 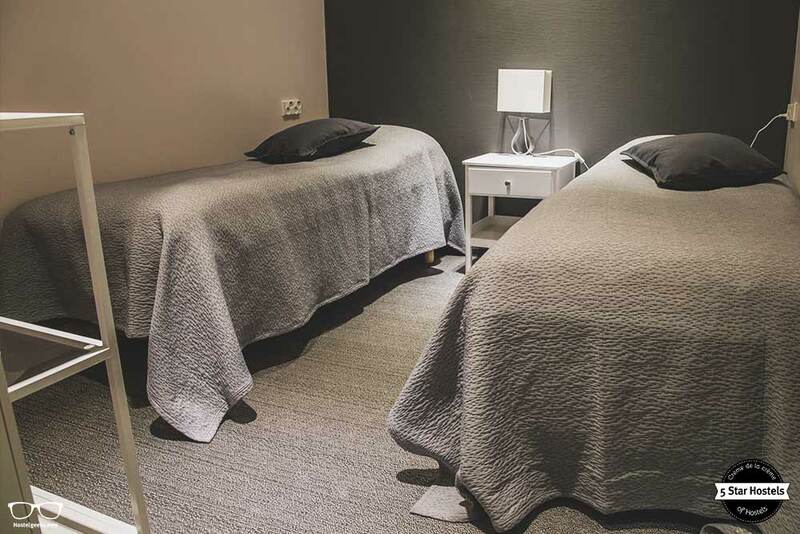 So, with the help of talented companies such as Kimmo Seppanen, Familon, Marimekko and Sasu Heikkila; the hostel is made up of Finnish styled bunk beds, sofas and beautifully crafted tables. 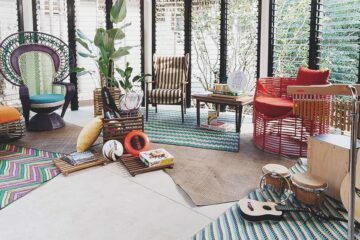 In a nutshell, the hostel style is neat and chic. Dotted around are many plants, which are there to help keep the air fresh… and of course they bring beauty to the indoors, too! Check out the common room as well: the ceiling is made of led which makes for an amazing light and a unique place to socialise with other travelers. pssst…if you are really into the design, have a look at the +110 design hostels all over the world. Believe it or not, the Yard Hostel is the first in Finland that is focused purely on Finnish design. But we at Hostelgeeks can’t understand it! Finnish design is bold and neat, and we love it. Not only that, but The Yard is the only hostel situated in the heart of Helsinki. This hostel is guaranteed to offer you a unique stay in the best location possible, and all on a budget price! This isn’t just because they are the only hostel around, but because they are 100% Finnish and 100% committed to welcoming and delivering an excellent Finnish experience for their guests. Where better to create happy vibes with old friends and new, than in a large common area? Well, we are happy to announce that this Concept Hostel has the perfect space. It’s not only big, but it’s homely and uniquely furnished. Going back to the common area; this is where the community really comes together. The staff organizes movie nights, game nights and special events (Finnish independence day, for example). 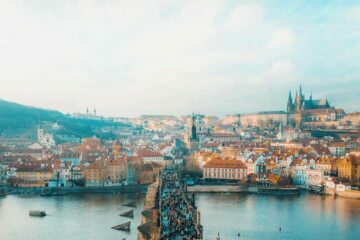 So even if you are traveling alone, there are perfect opportunities to make new friends, without the awkward conversation starter. 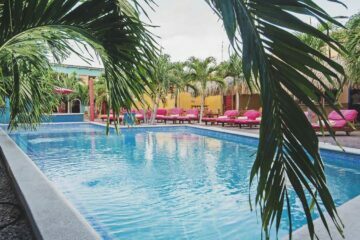 Here is an overview of great hostels for solo-travelers. Not only that, but the staff are also around to make you feel welcome. They’re not there to sit at their desk all day/night, but to hang out with you – the guest – instead. Another perfect way to get to know Helsinki, Finland and the local people within it. 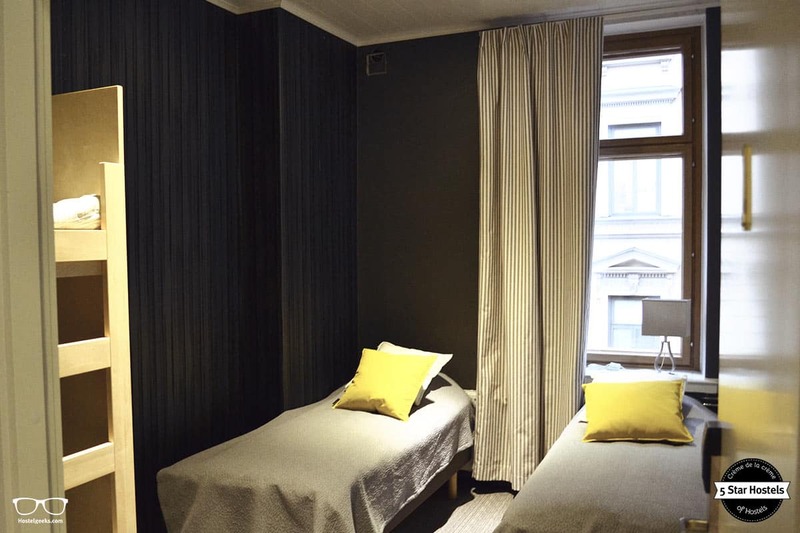 The entrepreneur behind this 5 Star Hostel is the 26-year-old Matilda who has travelled the world and has a true passion for Helsinki. Her mission is to make every guest fall in love with this Nordic wonderland. In addition to her, the hostel has great reception staff that passionately want to make every guest’s trip just simply awesome. 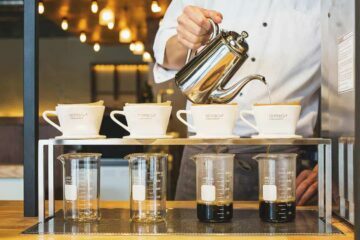 It won’t hurt to mention for a second time that they endeavor to spend as much time with their guests as possible, so be sure to say hello and get chatting about the area. 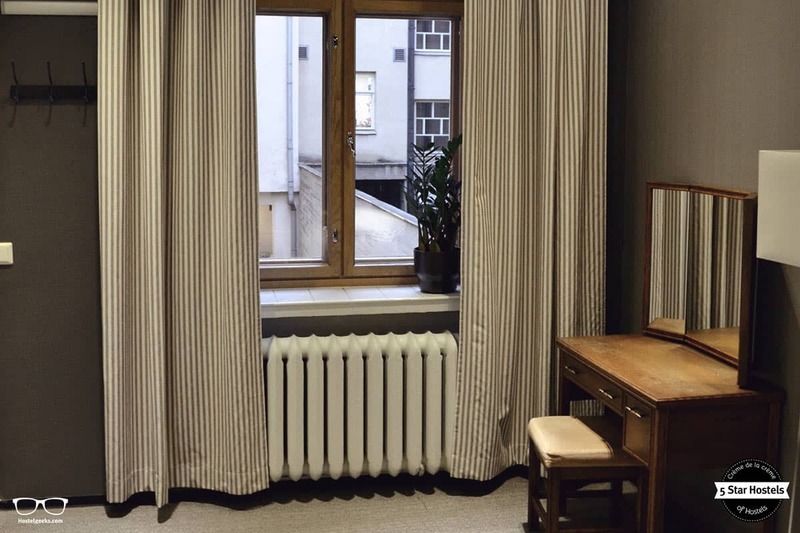 Read: an overview of all different hostel room types. As the Yard Hostel is just about to open its doors, there are no rewards to mention here. However, we strongly believe this will change soon. Once the world sees how great this hostel is, no doubt it will earn supreme status. 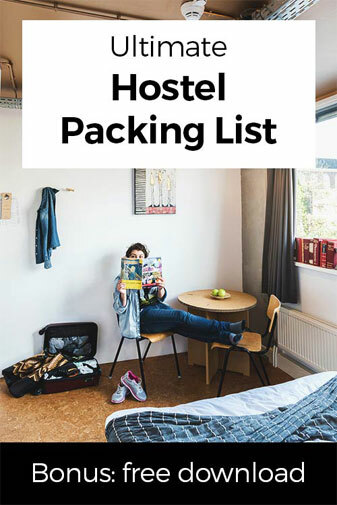 As a Hostelgeek reading this, be sure to book yourself in for a night (or two). Share your pictures and comments with us and the hostel. 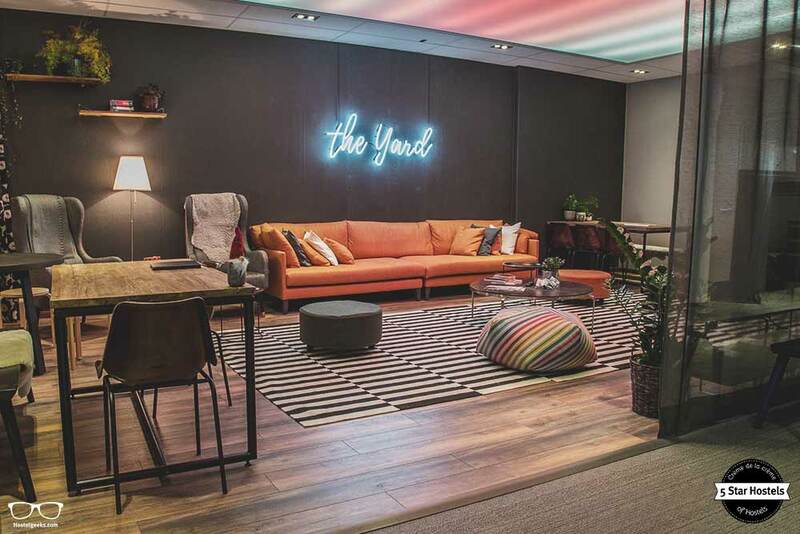 Fancy a promo code for The Yard Hostel? Who doesn't?! Now, there is no easy way to say this: Currently we do not have a valid discount for The Yard Hostel. We are working on getting more promotional codes for The Yard Hostel in Helsinki, Finland and all the other top hostels we reviewed for you. 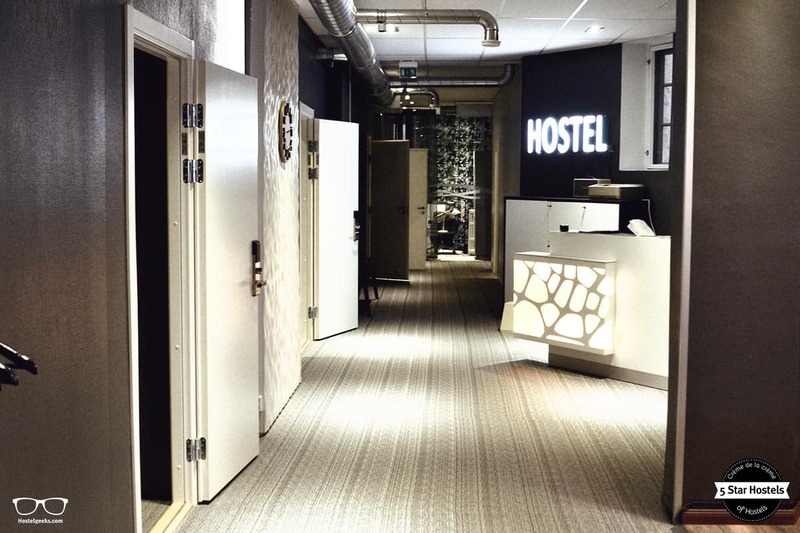 You were looking for the absolute BEST hostels in Helsinki, Finland? You just found it! The Yard Hostel is the top place we recommend to our friends, family and to you! 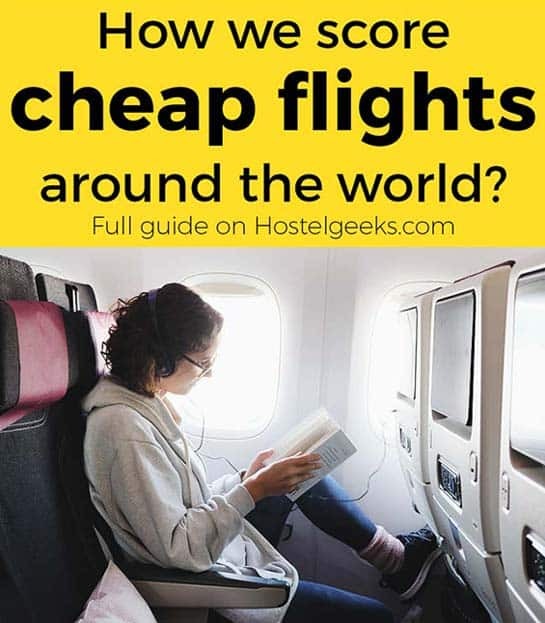 Update April, 2019: How to find flight deals to Helsinki, Finland? Still looking for cheap flights to Helsinki, Finland? We LOVE Kiwi.com. You can search here with a so-called "radius search". It is incredible easy to find sweet flight deals to Helsinki, Finland and area.